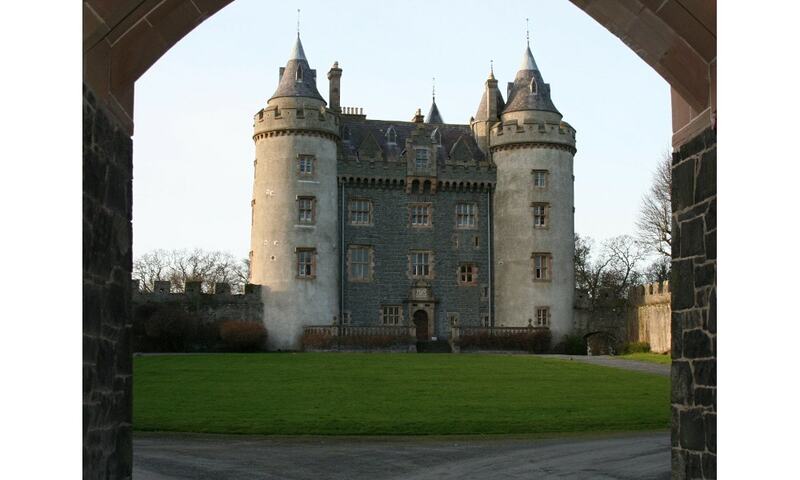 Killyleagh Castle dominates the small village of Killyleagh and is believed to be the oldest inhabited castle in the country, with parts dating back to 1180. It follows the architectural style of a Loire Valley chateau, being redesigned by architect Sir Charles Lanyon in the mid-19th century. The castle hosts occasional concerts; performers have included Van Morrison, Glen Hansard and Bap Kennedy. The gate lodges provide self-catering holiday accommodation. From 2012 to 2014, the castle was used to film CBBC show Dani's Castle.